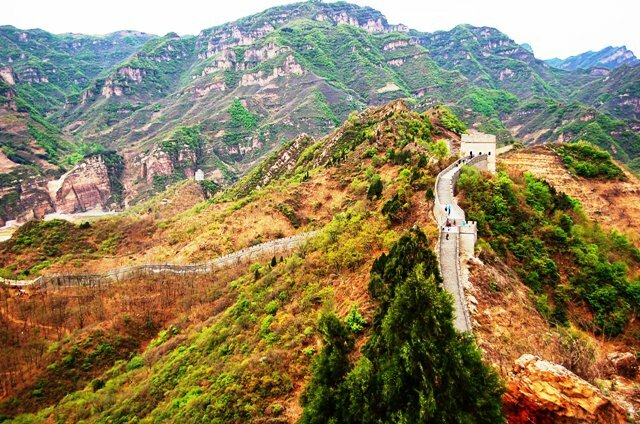 If you happen to be visiting the Beijing area, you probably don’t have the Huangya Pass on your to-do list, but you probably do have The Great Wall of China. Of course you do. 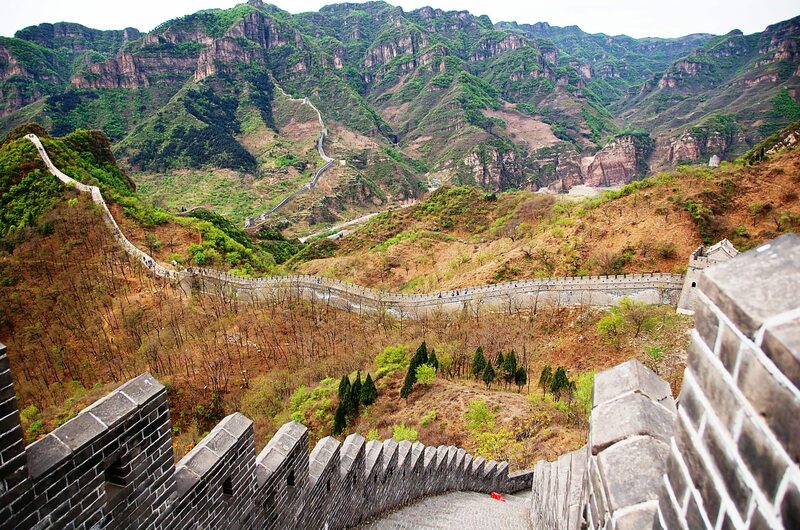 It’s THE Great Wall! 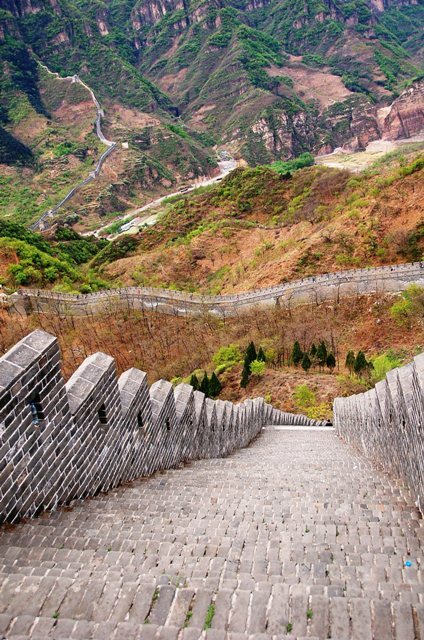 The trouble is, which wall do you see? People don’t talk about that so much. 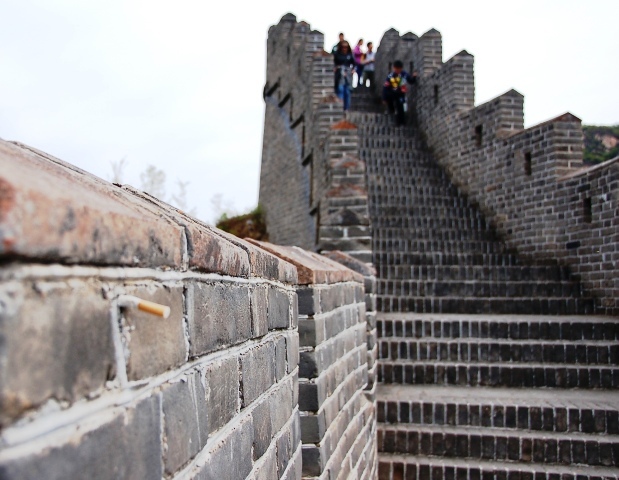 In fact, the first time we planned a jaunt to “The Wall,” we were surprised to discover that it doesn’t actually exist … at least it doesn’t as one continuous structure. 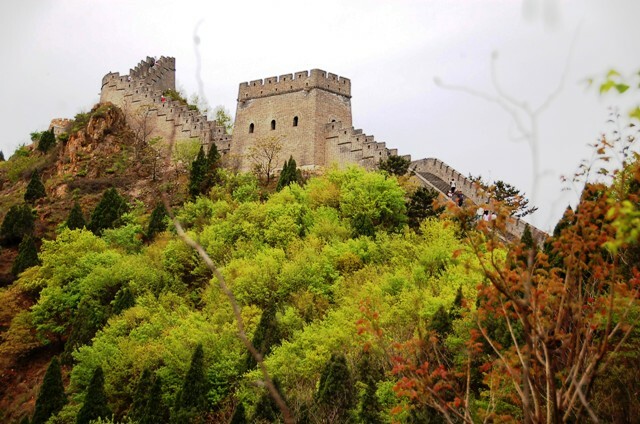 What exactly is the Great Wall of China? 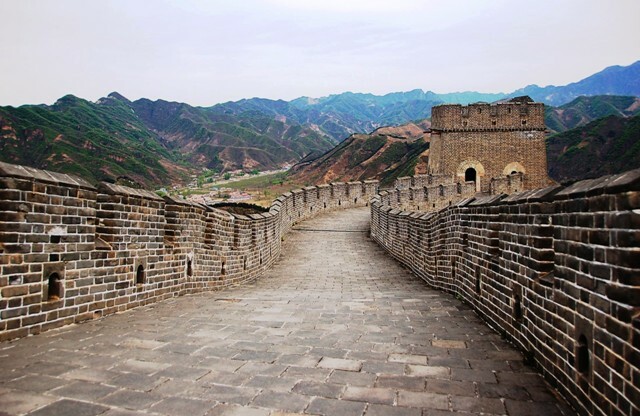 Turns out, there are many sections of the wall scattered across 5500 miles of northern China, each engineered under various dynasties over a period of almost 2000 years, beginning in 220 BC and ending around 1644 AD. 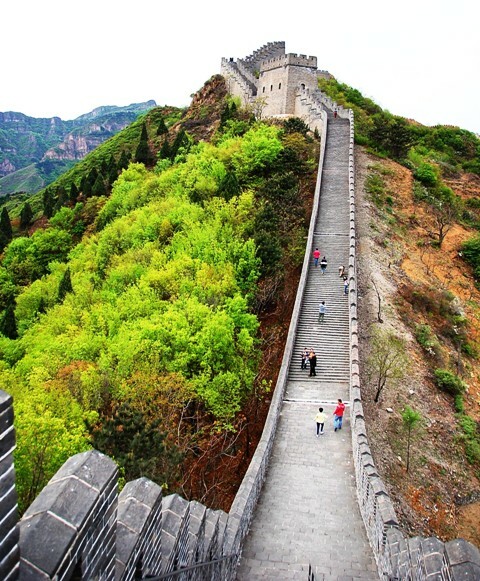 The point is, there’s an awful lot of wall to choose from! 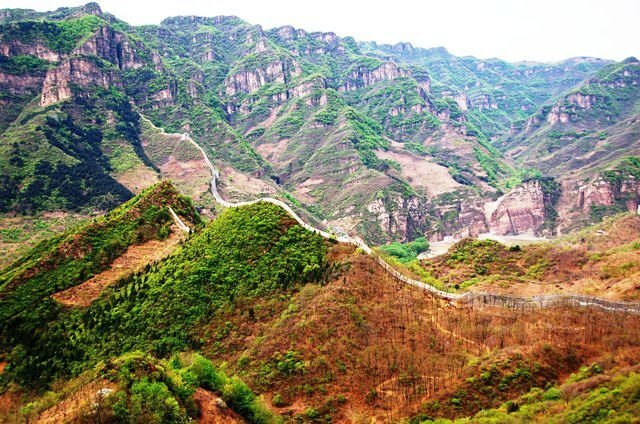 One such section that doesn’t belong in the Great Wall of celebrity is the Huangya Pass (or Huangyaguan) in Ji County, which is located about 126 km (78 miles) north of Tianjin or about 96 km (59 miles) east of Beijing. 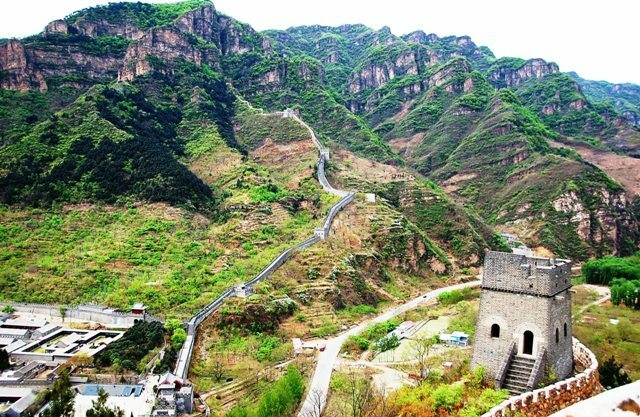 For reasons not entirely clear, most people visit Huangyaguan from Tianjin. 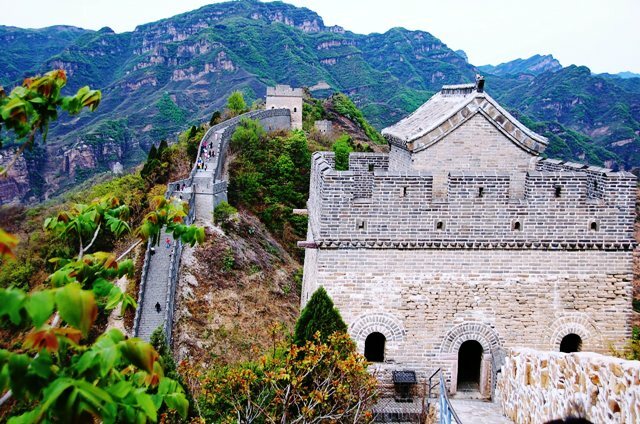 For reasons quite clear, visitors often claim they prefer the Huangyaguan experience over the more frequented Great Wall sections such as Badaling. Why? Because there are far fewer visitors, of course! Also? 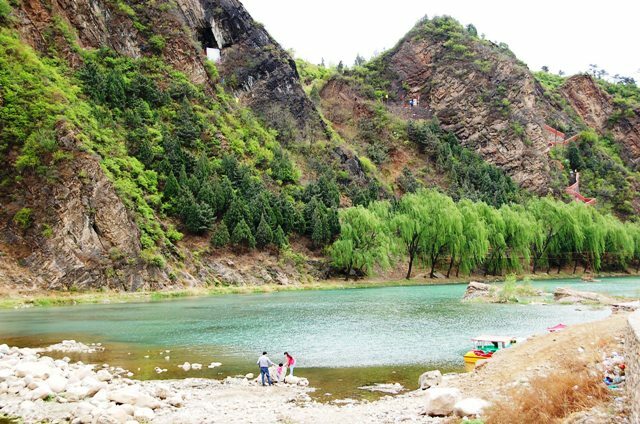 The scenery at Huangya Pass is spectacular. 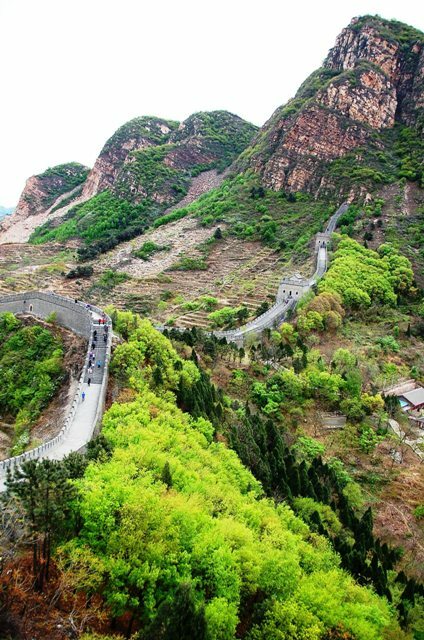 “Huangyaguan” translates to “Yellow Cliff Pass” and now that we’ve visited, we can see why. 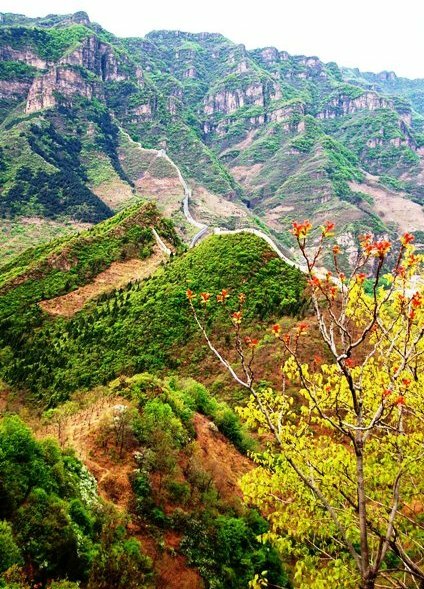 Perhaps this isn’t even the intended meaning, but the flora and mountains practically glow with an ocher warmth that is truly breathtaking. 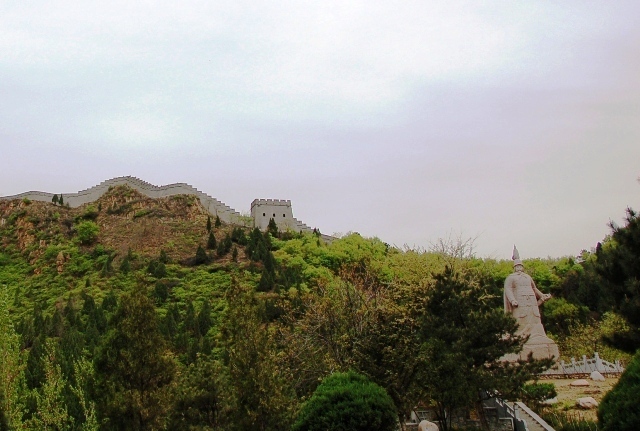 The scenery also makes up for the fact that much of Huangyaguan does not exhibit its original stonework, as it was extensively restored in the 1980’s. 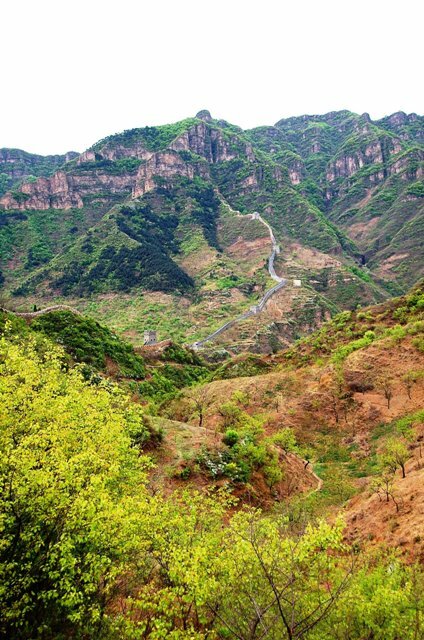 Originally built during the Northern Qi Dynasty in the mid-sixth century, Huangyanguan is said to stretch 42 kilometers (26 miles), but the portion we hiked (from the Taiping Mountain Stronghold entrance to the Huangya Fortress) was only about seven kilometers. 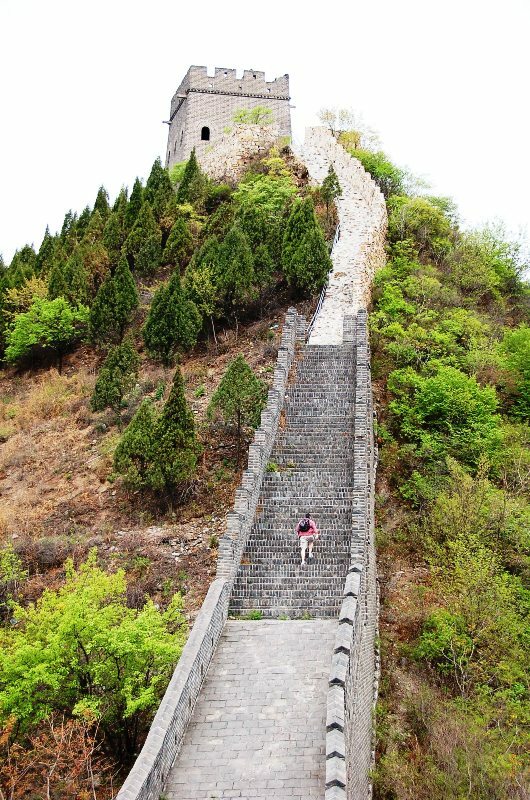 And while that may not sound like a lot, those steps on the wall can get steep! The hike is well worth it. 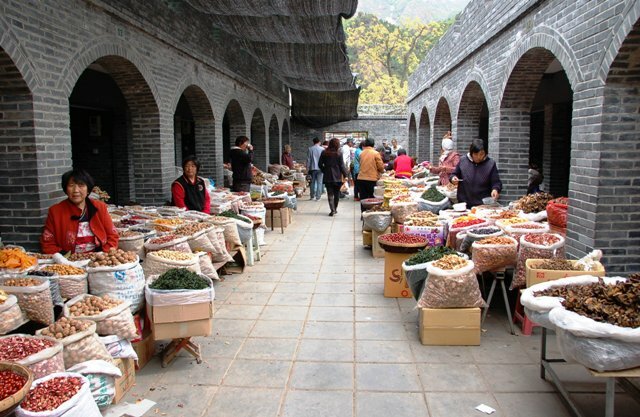 And at the end, you’ll be rewarded with the Huangya Fortress where an extremely photogenic outdoor market offers a bounty of dried fruits and nuts, many varieties of which we’ve never seen elsewhere. 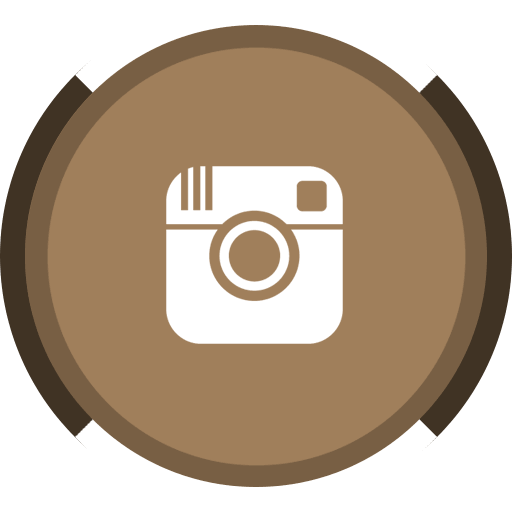 But no worries if you’re unsure of what to purchase. 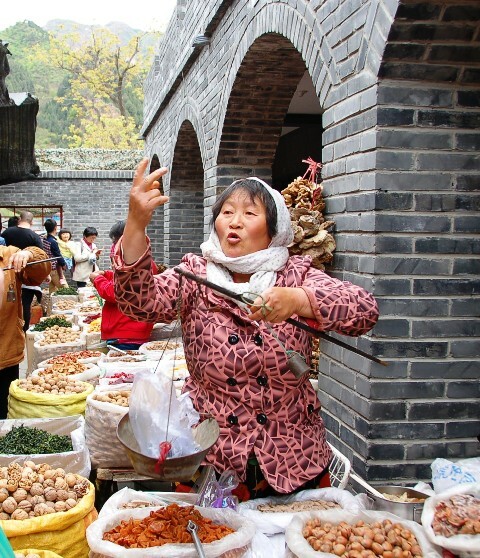 The ladies will cheerfully offer you samples until you buy something. 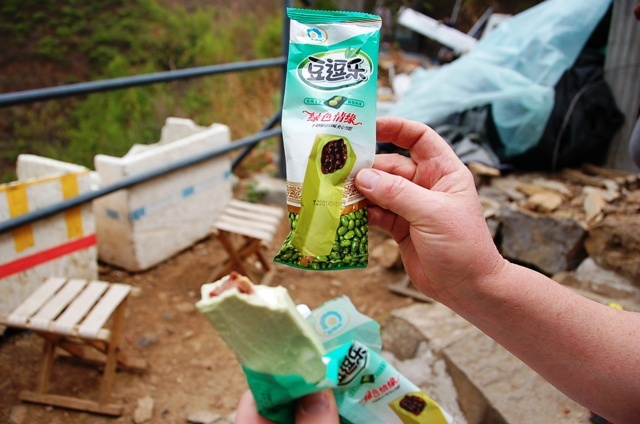 The average price for a half kilo (a little over a pound) is only 20 RMB (about 3 USD) so it’s almost impossible to go wrong! 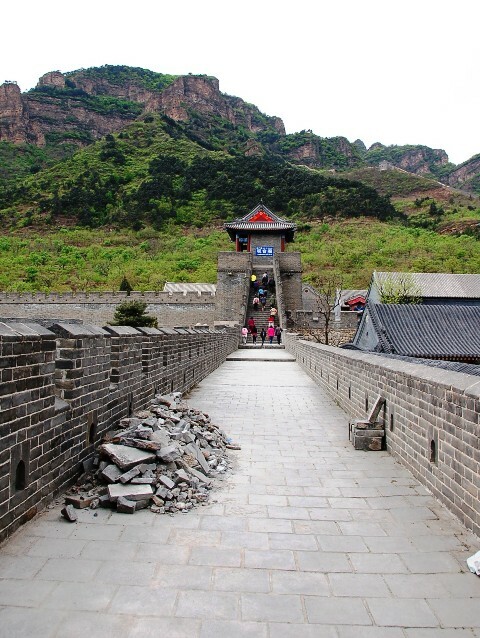 GreatWallHiking.com explains it best, I think. 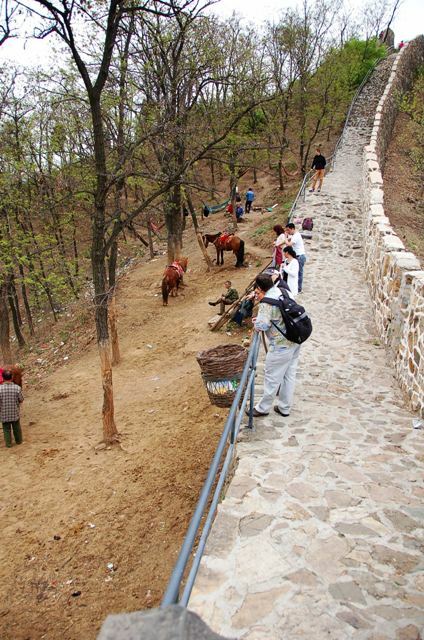 Ji County’s ski resorts (if you’re here in the winter) and the Qing Tombs (“Qingdongling”). 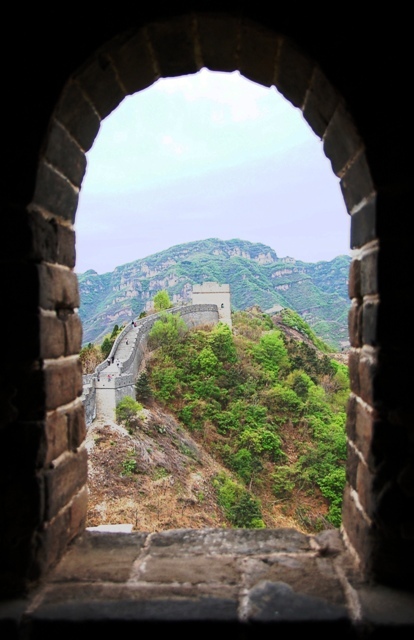 Update: I just discovered the following link from the China National Tourist Office, which links a shorter version of my article published on Huffington Post!